pojemność: e 200 g | 7,05 fl.oz. Give your hair smoothness, strength and shine! 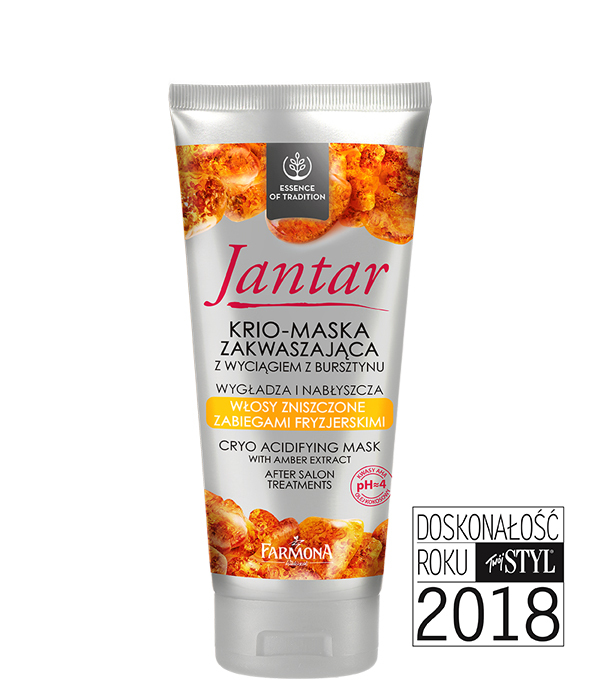 Cryo acidifying mask Jantar is based on effective formula and unique approach to hair care. This is the result of long-term tradition of using the extremely properties of amber. Apply a small amount of mask to washed, damp hair, spread and comb. Leave for 5 minutes and then rinse with cool water. Apply 1-2 times a week.